We had a welcome party as new members moved in! German women and French men have moved! 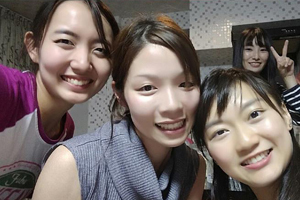 Everyone's English ability is also going to improve! 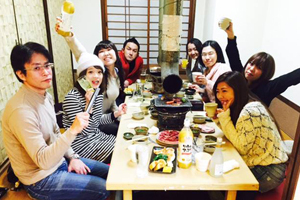 We held a farewell party for Mr. Yannick who returned to my homeland in Germany!Yannick was kind to everyone and was loved by everyone! 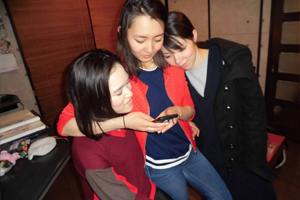 It was a very good farewell party! I went to eat tako shab with a member of AZ Bay House! They are very bright and very nice people! 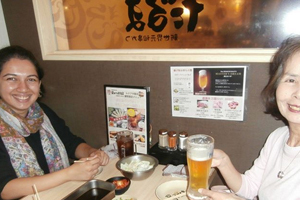 Han's mother living in the share house came to Japan, so I went to dinner together! Han's mother was talking happily, so it was good! 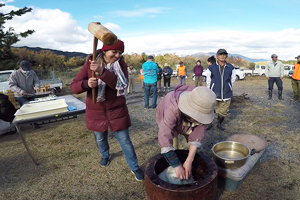 We invited you to "Pounding mochi" cooked with AZ shared members and horseshoe rice terraces in Shiga prefecture! 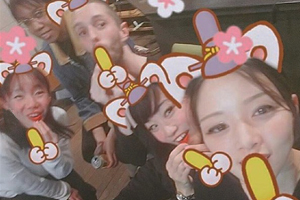 Members of India and Germany are the first rice cake experiences. Mochi is fresh and tasty! 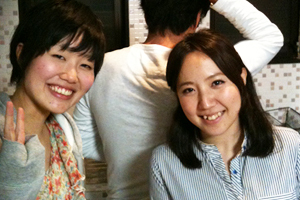 I went to eat kushikatsu with Mint members!She heard he wanted to eat Kushikatsu in Osaka by all means! It was nice to be pleased! 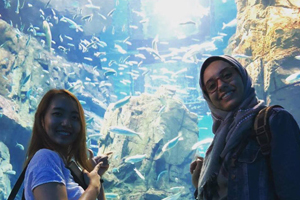 I took a share member to the aquarium.It seemed to be very interesting and I enjoyed it very much!After that, we had a party at AZ Bay House! 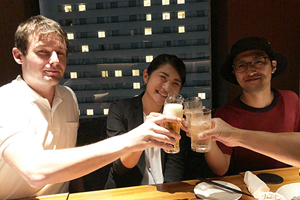 I invited the Egyptian Yara-san who lives in the mint share house to the AZ bay house and had a party.It seems that it was a fun day, sightseeing in Osaka for a while before the party, and it became a happy feeling here as well! I went to the sky dining bar where I can eat while watching the night view with a shared member!There was a live song, and I felt elegant feeling! It was a lovely day! 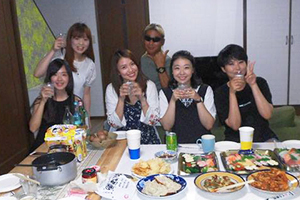 Kimchi pot party at AZ Bay House!Kimchi I bought at Korean Town in Tsurubashi!Cucumber Kimchi Popularity!Recently new members increased, so it became a party deepening friendship again! 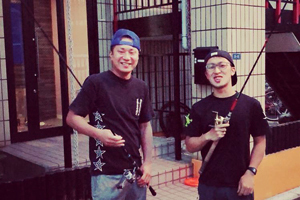 I went fishing!！At first glance there are plenty of fish inhabited by places like dirty Dob River, full of life!Returning to the share house, I cooked the fish I caught and ate together with everyone! 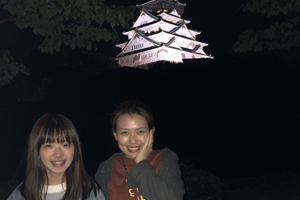 Taiwanese of mint share will return to Taiwan, so we did a joint party with bay members!Some people who lived in the share house before also came.I went to Osaka Castle on my way home! 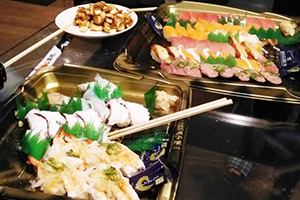 After shopping at a supermarket, we had a party at AZ Bay House!People who were considering moving in also joined and I got the share atmosphere seen.If you look at the situation of everyone, I think that you can understand the merit here. 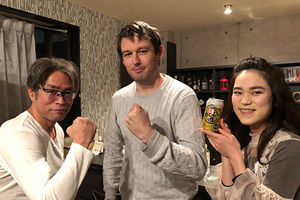 A former share member came back from France and moved in again!And a Japanese woman who just returned from Warholi in Australia has moved in! So hold a welcome party in a hurry! 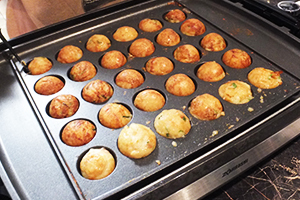 We played Takoyaki Party!Overseas people, making the first Takoyaki!After all it is difficult for the first time!I usually spin it, it looks like a store man! And everyone told me that! 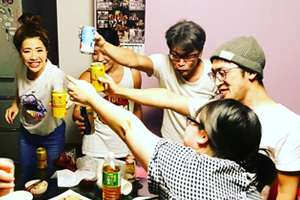 Since the share member goes to Yokohama, We did a farewell party! In autumn the pike is in season!I baked a pike with coals. It was very tasty! 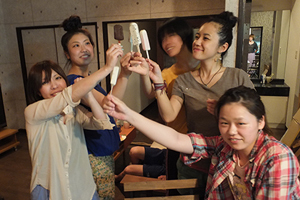 Mint was completely booked, so we held a friendship party!It is a share house of girls only!Japanese, Korean, Taiwanese and three Asian countries have been assembled!It was very cute that the child who can not speak Japanese tries hard to tell it! 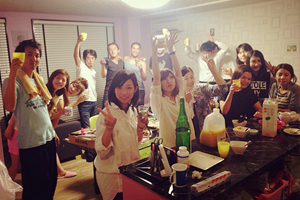 We held a farewell party for those who leave from next month!Three months from Korea is short, but he has many memories! 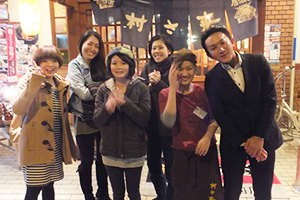 A male member of the share was making handmade cakes and sake!Homemade sake seems to have been acclaimed! 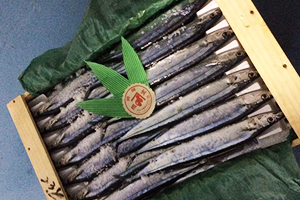 We will present rice as an event!We will prepare the food and drink of the day!It is a gratifying event for share members! Rice party！Outside, We also baked autumn swords and chicken!The party lasted until midnight! 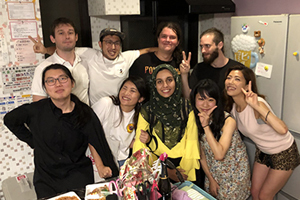 After starting AZ 's share, we gave courage Shared members began departing, we held a farewell party!It seemed that it was comfortable for she that She was planning to move in only 3 months at the beginning, and lived there for about 2 years! 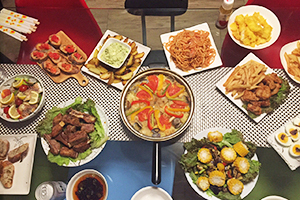 A share member made a cooking!She arrange the seasonal clam with Chinese style and it was very tasty! 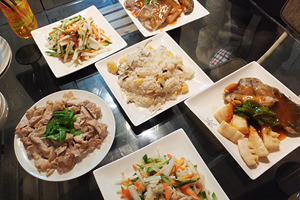 We held a rice party!I went to buy with shared members and Costco. 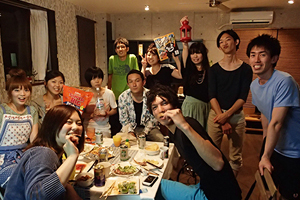 Because the party was almost all members, it was great fun together. Welcome party & AZ bay house party celebrated its 1st anniversary!We had a nice time to eat pizza and eat a large amount of Haagen Dazs that my acquaintance company bought! We went to Costco with a member of Az House Tempozan!Thank you for coming, despite the urgent invitation! 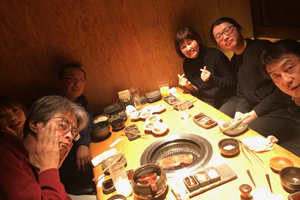 I had dinner with AZ House Tenpozan members!We held in a shop near the share house!Drinking continues from 18 o'clock to 23 o'clock, everyone is drinking! Everyone participated and it was very exciting!Beginning drinks are gone, and we bought a couple of times again at convenience stores!Request, Haagen Dazs also buy a box! Welcome party of a person who moved to the 3rd floor, teacher of judicial scrivener offered us rice to share!At the party of rice, it is a party to offer rice to members! 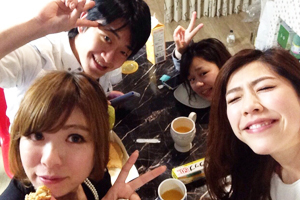 This time, I cooked!The members also cooked!It was fun to have lots of people gathered! 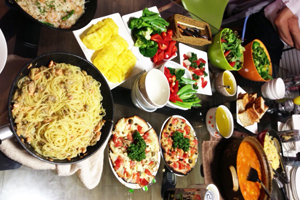 The Italian chef opened a cooking lesson!We cooked a lot of dishes with share members! 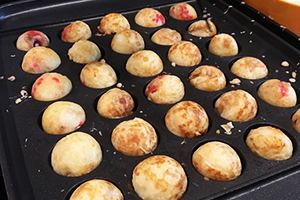 Continue from last time, hold a Takoyaki Party!Takoyaki We made was also very tasty!Takoyaki with my white chocolate was not popular! 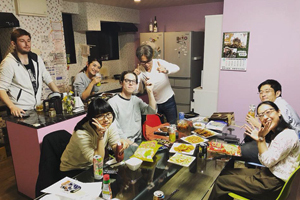 Takoyaki party was held!Thank you for joining us, although suddenly!Thanks to you, AZ's bay house is more than expected and the vacancy will disappear during the month! We began recruiting sharehouses from April and will be the first guest to commemorate!I started worrying about running the share house, so I was worried, but I decided to move in on that day! 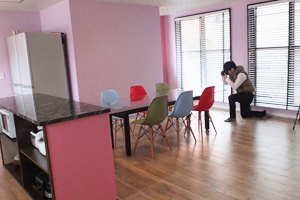 It was the shooting day of the share house!Until detail he took a photograph with enthusiasm! 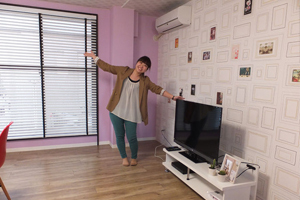 We was praised that this share house is nice!